In their appearance, schools often seem to be physically separated from their surroundings, cut off from the neighbouring houses and streets by high walls, by playgrounds or playing fields. Within the school, another world seems to exist, with a life of its own – its own routine, dress, rules and customs – which appears to have little relationship to the day-to-day life of the society outside. Yet despite these signs of separateness, we are becoming increasingly aware that a school’s surroundings, the local society in which it is set and whose children it educates, play an important part in determining what actually goes on in the classrooms and the playgrounds. 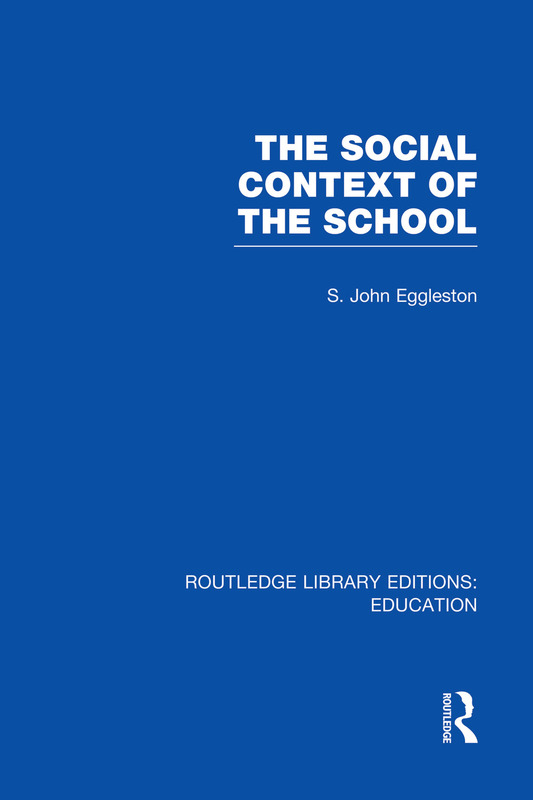 This book looks at some of the factors in the local context of the schools and describes and analyses some of the often complex ways in which the schools interact with them. Preface. 1. Environment and Education. 2. The Community Environment of the School. 3. The Population of the Catchment Area. 4. The Administrative Context of the School. 5. The Labour Market. 6. The Peer Group. 7. Conclusion. Bibliography.